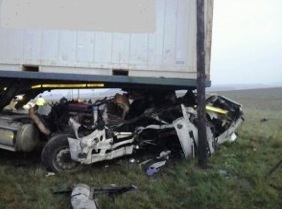 Banning Truck Accident Injury Lawyers – More Than Three Decades of Personal Injury Litigation Expertise You Can Trust! Are You Looking for a Truck Accident Injury Lawyer in Banning, Riverside, California? Our experienced team of personal injury, wrongful death and truck accident injury lawyers can help you pursue your rights and recover monetary damages for hospital and medical bills, loss of income, and suffering, both physical and emotional. Our Banning personal injury and wrongful death accident attorneys offer FREE consultations and case evaluations and legal services on a contingency fee basis for truck collisions, car accidents, motorcycle accidents, uninsured motorist (UM), underinsured motorist (UIM) and wrongful death claims. Serious motor vehicle accidents, such as those involving a truck, have long-term, life changing effects on people involved in them. Head injuries, broken bones, and even death- all of these can be a legacy of a serious truck accident. Thus, if you or your loved has been involved in a truck accident in Banning, Riverside, Palm Springs or anywhere in California, you know that you need the guidance of an experienced truck accident lawyer, who can help you pursue your rights. If you were injured in a truck or car crash, you can contact us for a completely FREE CONSULTATION. You can also check out our home page, our lawyer profiles, and our personal injury & wrongful death case testimonial pages to learn more about our Banning & Riverside truck accident personal injury & wrongful death lawyers and law offices. Banning is a city in Riverside County, California. It is located in the San Gorgonio Pass, which is 25 miles (40 km) west of Palm Spring and about 100 miles (160 km) east of Los Angeles. As per the 2010 United States Census, Banning had a population of 29,603. Our personal injury lawyers and legal team of experienced truck accident attorneys and support staff will assist you in all the aspects of truck accidents, car accidents, motorcycle accidents and wrongful death claims due to death of a family member; and offer effective, aggressive representation in the event of a truck accident or other personal injury claim in Banning, Riverside or anywhere in California. Tremendous experience in resolving personal injuries and wrongful death claims throughout Banning, Riverside County, Los Angeles, San Bernardino and all of California. Offer immediate assistance on property damage repair, medical attention and settlement, monetary advances, loan cars, medications, prescriptions, etc. We have expertise acquired from more than three decades of combined legal experience in handling truck, car and motorcycle accident injury claims, other personal injury and wrongful death cases throughout Banning, Palm Springs, Riverside County, Los Angeles, San Bernardino and all of California. To learn about how we can assist you further, and what you need to do to protect your rights if you were involved in a truck accident, car collision or other accident in Banning, Riverside, Los Angeles or California, please call us at 1-866-INJURY 2 (866-465-8792) or 818-222-3400 (after hours, press 1) for a FREE no-obligation consultation. Additionally, you can simply email us at info@WalchLaw.com, or just complete our easy contact form and find out what your options are and how we can help you protect your rights. FREE Consultation and NO Fee Until You WIN! Please call now – You will be glad that you did!